The SE 2 has had its fair share of rumors, as all major smartphones do. However, those watching closely will notice it has received far less attention than other iPhones usually do, especially when compared to the iPhones Apple is thought to be releasing this fall. The ugly truth? Apple isn't planning to release an SE 2 in the spring, as it did with the original SE — the SE 2 is coming in the fall, and it's a phone we've heard all about. Yes, the 6.1-inch LCD iPhone will most likely be our "SE 2." It appears some outlets are referring to it as such, with no consideration that Apple will release an updated 4-inch iPhone instead. Rather, the "cheaper" bezel-less iPhone so rumored about will take its place, offering customers a large iPhone experience without paying the premium prices attached to the OLED iPhone X sequels. It won't be "cheap," however. Rumors say the 6.1-inch iPhone will run about $799. That might be reasonable if Apple considers this an iPhone 8 Plus replacement, but it's a stark contrast to the SE, which started at only $399. If this rumor is correct, it's an interesting move by Apple. The SE sold well because there was a demand for that particular form factor, not to mention the low price for an iPhone. 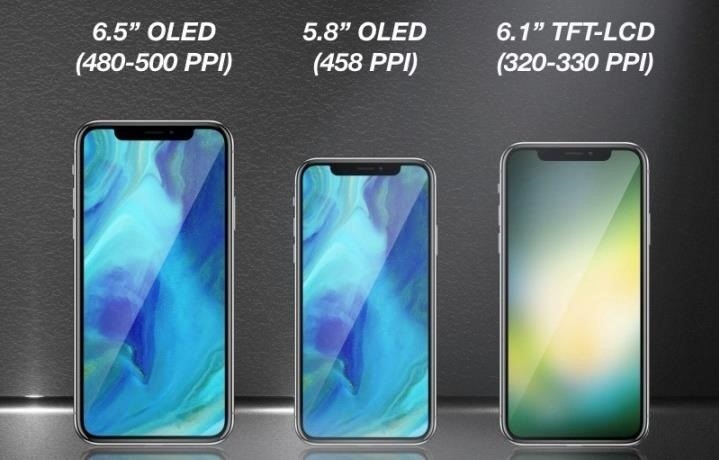 SE fans are waiting for an update of the same size, so it remains to be seen how many would buy an iPhone with a 2-inch larger display. That's not to say a 4-inch SE 2 is dead in the water. There are still plenty of rumors out there to suggest Apple is still hard at work on a small iPhone refresh. If June passes us by with no SE 2, however, we just might have our answer. Forget screen size, it's about the form factor. My iPhone 5s is just under 2x5 inches. A full 2x5" SE2 with small bezels could have a 4.7" screen, the same screen size as an iPhone 6s, 7, or 8 in a one-handed, pocketfriendly form factor, for the price of a 6s. With a 6.1" screen, the compactness of the form factor is thrown away. It looks like an 8 Plus successor. The idea that this could be a new SE is just stupid. The models in the picture make me not want to buy an iPhone again.